Tech start-ups from in and around the South West of England will Pitch their business ideas to a royal audience next week, as Pitch@Palace On Tour comes to Cheltenham. On Feb 2, Tech Entrepreneurs from cyber security companies will Pitch their companies to a high-profile audience of CEOs, influencers, angels, mentors and business partners, and The Duke of York. 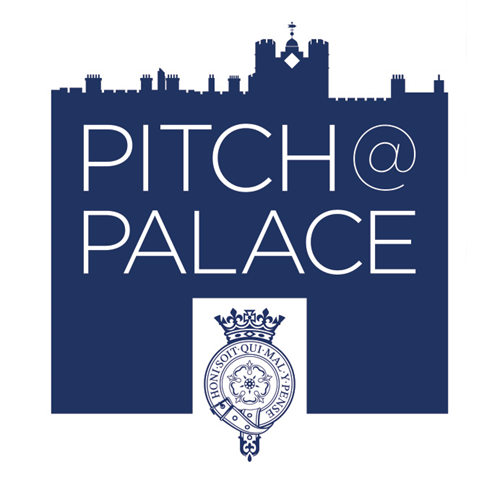 Pitch@Palace On Tour Cheltenham will be hosted in Cheltenham by the National Cyber Security Centre (NCSC) and the GCHQ Cyber Accelerator, powered by Wayra UK. The winners of Pitch@Palace On Tour Cheltenham will secure a place at Pitch@Palace Boot Camp, where they receive support and guidance on how to develop and hone their Pitch, as well as support with investment, introductions and strategic guidance. The theme for Pitch@Palace 9.0 is “Data, Intelligence, and The Future of Security.” The explosion of Big Data has created opportunity, but also risk. Generating, capturing, and analysing large datasets has given rise to artificial intelligence tools and machine learning, blockchain and cryptocurrencies, and has given companies profound new scope to understand and serve their customers. However, the proliferation of powerful datasets raises critical concerns around the future of privacy, security, and defence. All of the Entrepreneurs selected for Boot Camp are invited to Pitch@Palace 9.0 at St. James’s Palace, and a selection of these businesses will Pitch directly to an influential audience from the worlds of entrepreneurship, technology, media and investment. Since it was launched in 2014, Pitch@Palace has supported over 490 companies. Alumni include Yoyo Wallet, a start-up that was accelerated through the Wayra UK programme and recently raised $12m in Series B funding. The GCHQ Cyber Accelerator is a partnership between GCHQ, the NCSC, the Department for Digital, Culture, Media and Sport (DCMS), and Wayra UK, the leading UK corporate accelerator that is part of the global Telefónica Open Future_ network. It is part of the Government’s £1.9 billion investment to significantly transform the UK’s cyber security. The 2016-2021 National Cyber Security Strategy sets out how the UK Government will deliver a UK that is secure and resilient to cyber threats; prosperous and confident in the digital world. The National Cyber Security Programme managed by the Cabinet Office coordinates the work undertaken to implement the UK’s National Cyber Security Strategy. At the accelerator, selected start-ups receive support to help them scale all aspects of their businesses, including high-quality mentoring and business services, office space, and access to GCHQ, NCSC and Telefónica’s world-class personnel and technical expertise. Wayra UK is part of Telefónica Open Future_, the open innovation programme that integrates the different initiatives of the whole Telefónica Group related to entrepreneurship and innovation. Wayra UK gives direct funding, acceleration and pre-acceleration services (such as co-working space, connectivity services, mentoring, access to Wayra UK’s network and knowhow, training in entrepreneurship and business skills) to selected start-ups. Since its launch in 2012, Wayra UK start-ups have raised approximately $150m in third-party investment. Wayra UK has partnered with some of the world’s leading organisations to invest in a number of verticals that help generate growth, create positive societal impact and fuel innovation across industries. These include Velocity Health with Merck Sharp & Dohme Limited (MSD); Government Communications Headquarters (GCHQ), through the GCHQ Cyber Accelerator; our Wayra Fair By Design programme, which seeks to alleviate the poverty premium; and the Intelligent MobilityAccelerator, a partnership with the Transport Systems Catapult. Wayra UK also works alongside local and regional partners to reinvigorate entrepreneurial ecosystems, energise local economies and democratise entrepreneurship. Telefónica Open Future_ is Telefónica´s global platform designed to connect the company to entrepreneurs, start-ups, investors and public and private partners around the world to capture innovation and business opportunities. Its goal is to support talent at all stages of growth through a comprehensive model for acceleration that is designed to connect talent with organisations, investors and companies. The programme incorporates all of Telefónica Group’s open innovation, entrepreneurship and investment initiatives (Think Big, Talentum, Crowdworking, Wayra, Amérigo and Telefónica Ventures) through a global network that is open to participation by external partners that wish to develop their own entrepreneurial and investment strategies, and connect to large corporates. To date, more than 51,000 proposals have been analysed, over 1,600 start-ups have been accelerated, and over 700 invested in. Telefónica Open Future_ is present in 17 countries and has committed to investment, with its partners, a total of 445 million euros. Government Communications Headquarters is one of the three UK Intelligence and Security Agencies, along with MI5 and the Secret Intelligence Service (MI6). GCHQ works to protect the UK and its citizens from a range of threats to national security, including terrorism, serious and organised crime, and cyber-attack. •	Nurtures the UK’s cyber security capability, providing leadership on key national cyber security issues.